The Paiute Shoshone Cultural Center is both a museum and cultural center that serves the community and safeguards its history. It is a place to preserve and tell the story of the old ways and a place for the community to come together to learn, teach and continue the traditional ways. Long before settlers and gold miners came to the Owens Valley the indigenous people of this land lived here for thousands of years. They called themselves Numu, which means people. And they called this broad fertile valley, Payahu Nadu, the Place of Flowing Water. Today the descendants of these people are known by the name Paiute. The Newe, who are today known as Shoshone, lived side by side with the Numu and they were all resourceful and practical people who lived from the land. 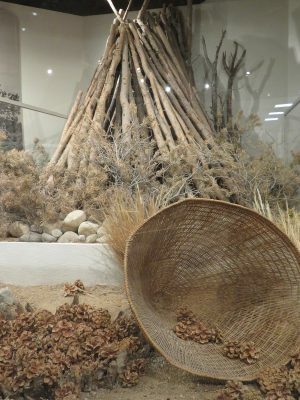 Through observant practices of hunting and gathering, the land provided all they needed for food, clothing, housing, medicine, arts and entertainment. The harsh winters were comfortable because of sustainable methods of harvesting and storage during the seasons of abundance. 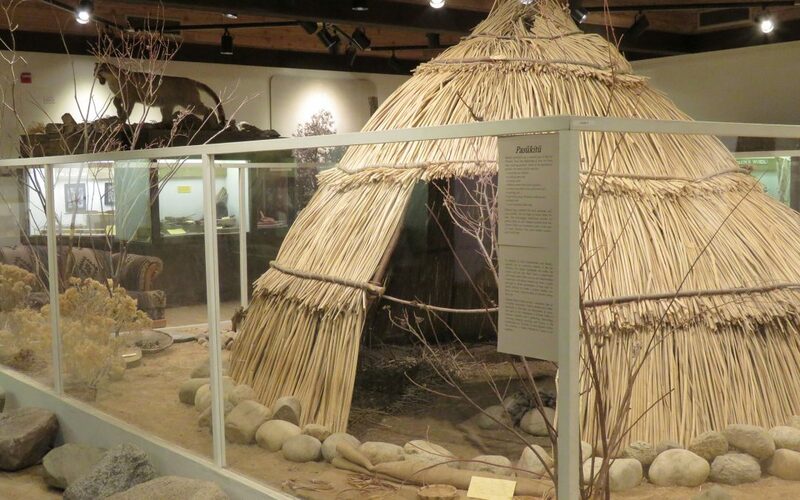 The exhibits in the Paiute Shoshone Cultural Center are beautifully illustrated snapshots of the lives of the people who lived here with dignity and in harmony with the land. The Bishop Paiute Tribe is a sovereign nation located in the heart of the Eastern Sierra adjacent to Bishop. It is the fifth largest tribe in California with about 2,000 enrolled members. The Cultural Center is located on tribal lands, just 1.5 miles from the center of Bishop. Set in beautiful grounds under large spreading cottonwood trees this low building is in tune with its surroundings – as its people have always been. Inside the building are the curated cultural and environmental displays that showcase collections of artifacts and historical archives handed down through the generations. The Memorial Hall is a tribute to Native American Veterans and their families who have served this country. Outside is a wonderful Native Garden and a Walking Trail through the tribe’s Conservation Open Space Area (COSA). This space is also used during the summer to host weekly markets to share and sell local produce, food, and crafts. All travelers who venture through this beautiful and ancient landscape will enjoy learning about those who were here before. It is a family friendly facility and the lovely displays will both fascinate and educate all who visit. Of all the arts practiced by the Paiute people, basket weaving is one in which they excel. The tradition has been handed down for generations and baskets were, and still are, a vital part of Paiute life. 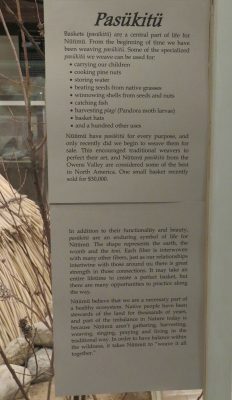 The exceptionally tight weave that is employed in Paiute basketry can produce watertight baskets that can be used for carrying water and cooking. Forms of Paiute basketry include cradleboards for infants, seed jars, winnowing trays, burden baskets and many more. 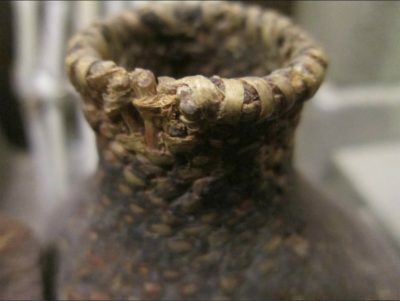 Archeologists have reported that there is evidence of basketry in the region that dates back more than 10,000 years. 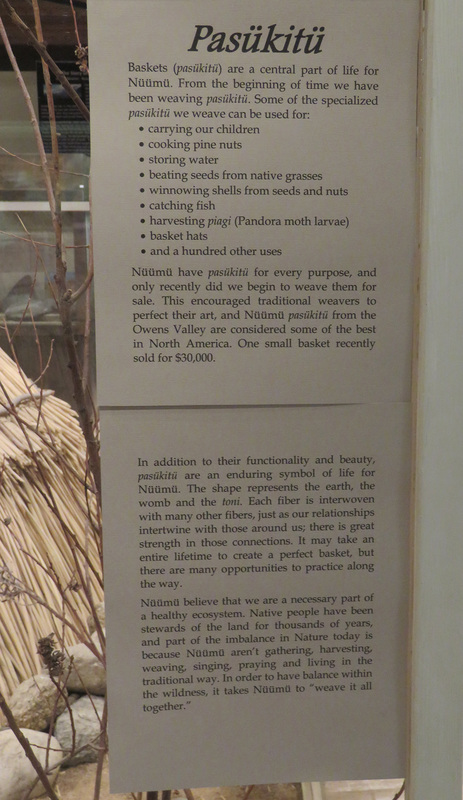 See examples of these fine baskets in the display cases of the museum. The gift shop provides visitors the opportunity to purchase arts and crafts made by local tribal artisans as well as informative publications about native culture. It is a great resource for researchers and the general public. The facility is open year-round with seasonal hours of operation. Winter season, from October through March, the center is open Tuesday through Saturday from 10am to 4pm. Summer season, from April through September, you can visit Tuesday through Sunday from 10am to 6pm. Fall is particularly beautiful here when the air outside is cool and the leaves on the big cottonwood trees are turning to gold. Step inside the Cultural Center and then walk the trail through the COSA with a new vision of the importance of the land and its resources. Located at 2300 W. Line Street, the Cultural Center is just one mile from the corner of Main St. and Line St. Ample parking is available on the grounds and visitors are requested to follow all posted directional and parking signage. Photography is not permitted inside the building as many of the artifacts are sacred and form the heritage of the many families of this community. 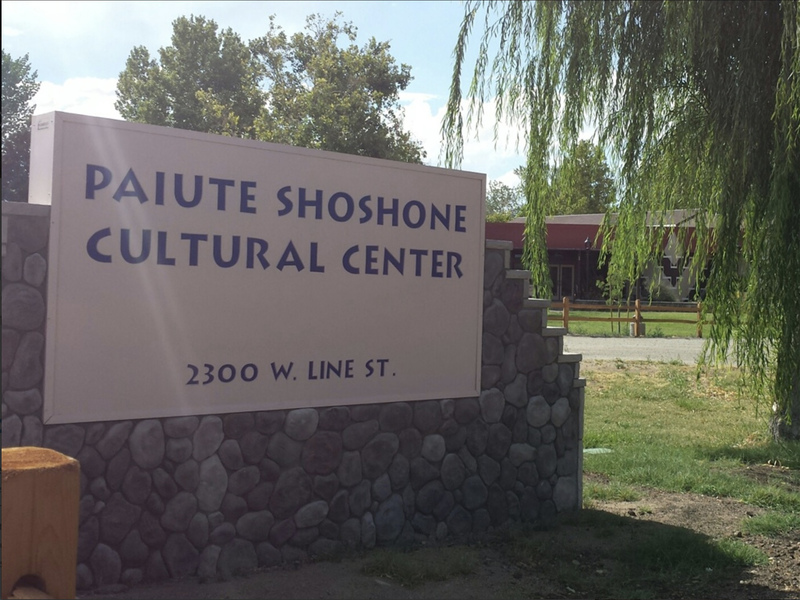 “We Honor our Past, Share for the Present, and Preserve for the Future.” ~ Paiute Shoshone Cultural Center.